* Lesson plan objectives and assessments can be adapted to use this activity with preschool students. 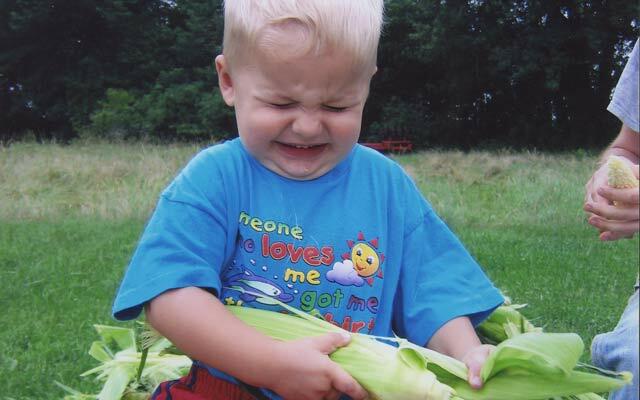 Show the child how to pull the husk of the corn away from the cob. As they are trying it on their own, introduce new vocabulary words that relate to the activity such as, “silk”, “kernel”, “husk”, and “stem” and show the child where each of these are on their ear of corn.